It all started with a little visit to a Home Goods I hadn’t been to before to pick up “a few things”. The Eden Prairie location had a lot more decorating items than I’d ever seen at the Plymouth location. And I came across an isle with curtains…quite a few of them. 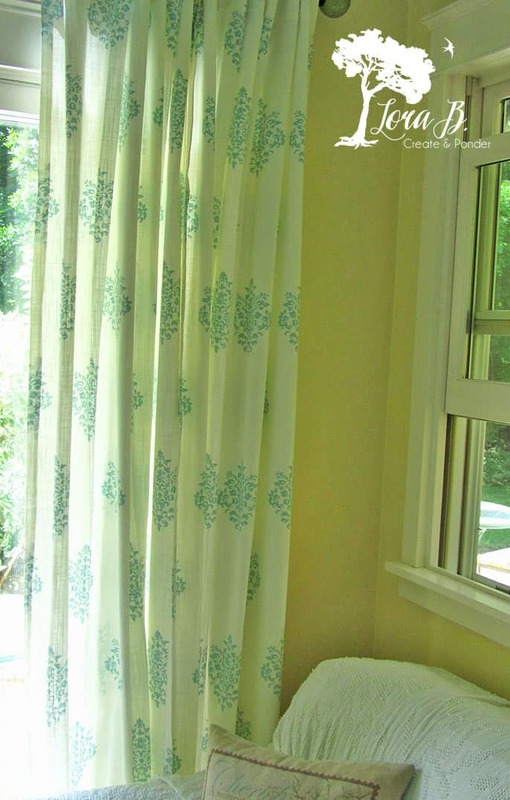 I’ve always sewn my own curtains, because I’ve never really liked what’s in the stores. 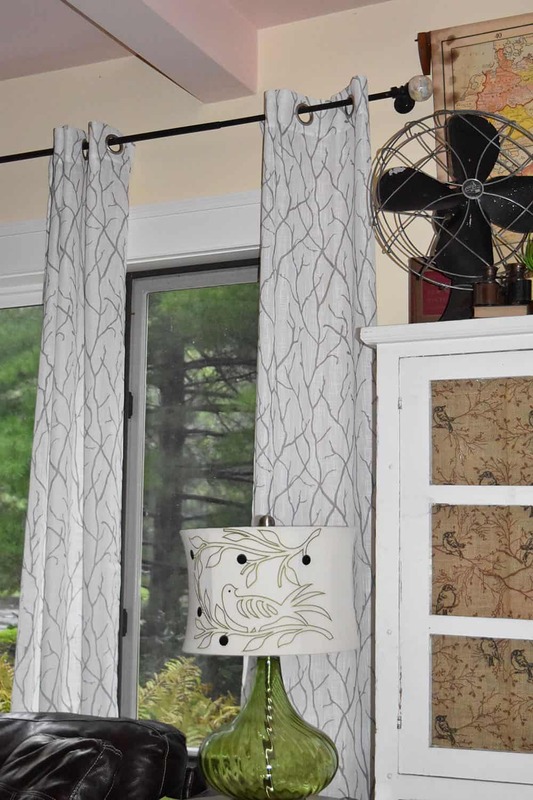 But fabric is not cheap, and dealing with yards and yards of fabric for big windows is a challenge, and when I’ve put a lot of effort into them and they don’t hang quite right…it really bugs me. 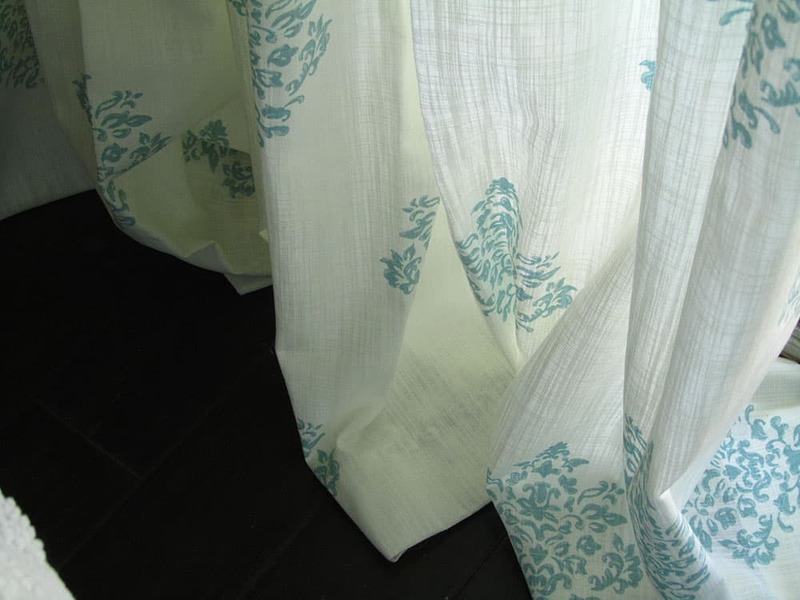 So, when these cute, linen-y white, with aqua detail, drapes caught my eye, I remembered that the creamy-background ticking, that I’d simply ripped and clipped in the kitchen were looking a little tired, my mind perked up with new horizons. 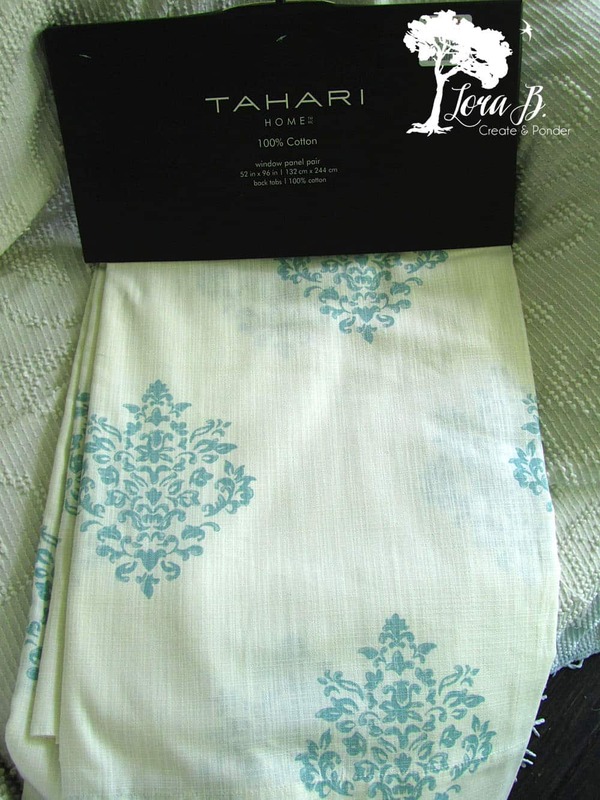 I’m craving brighter, cleaner, whiter colors in my home, rather than creamy tones. I realized I need more white to crisp everything up. I’m sure there’s a Fixer Upper influence in there somewhere. So I bit the bullet, and spent way more than I was planning on that day…but I’m glad I did. I love how they brighten up the whole kitchen! The crisp white background makes everything seem cleaner, and I’ve always loved how a little bit of background texture looks when the sunshine streams through. 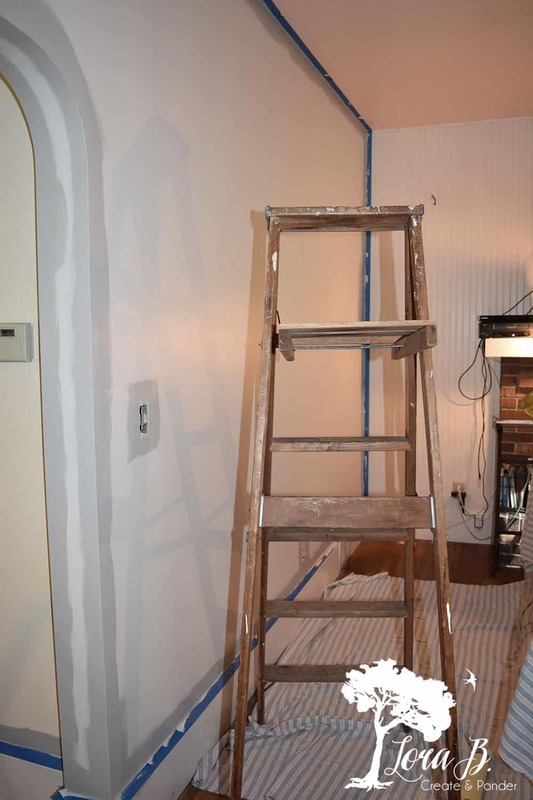 They were a little bit long, so Mr. Fix-it had to raise the rod, which means I’ve got some holes to fill…which leads to the idea of painting the whole room anyway! I’d been using some $2 muslin tab tops that awkwardly hung somewhere between the sill and the floor for years. They’d been a temporary fix that had lasted way too long. 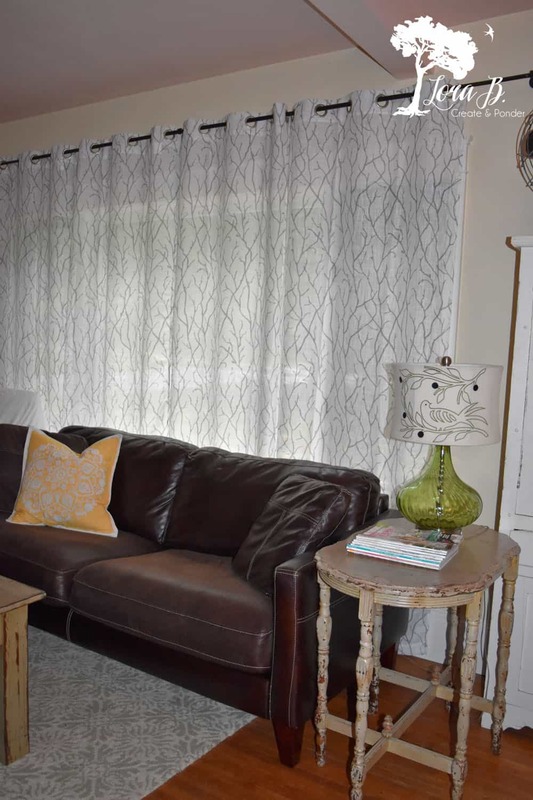 I love the mod look these twiggy, white background, grommetted drapes bring to my living room. And I love that they’re still in four panels, so I can hang them over the middle dividers, for a more interesting look. Decorating is like Dominos; one change in a room leads to another. 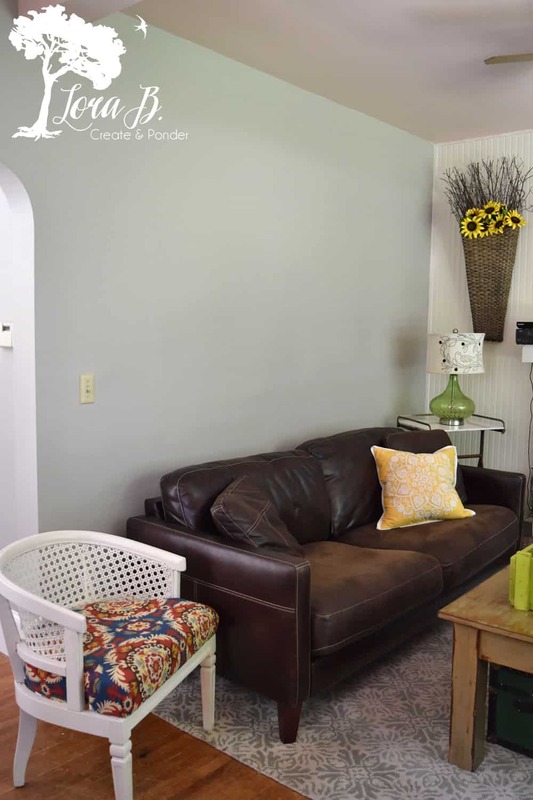 Our walls were painted a creamy, soft yellow when we first moved here, more than 12 years ago, and they were well past their prime of needing some freshness. I was a little tired of the color, since the store had been similar. I was ready for something a little less happy, and more subdued…maybe it’s my age. I know I’m a little late to the grey-wall bandwagon, but it comes with the vintage territory, I guess. 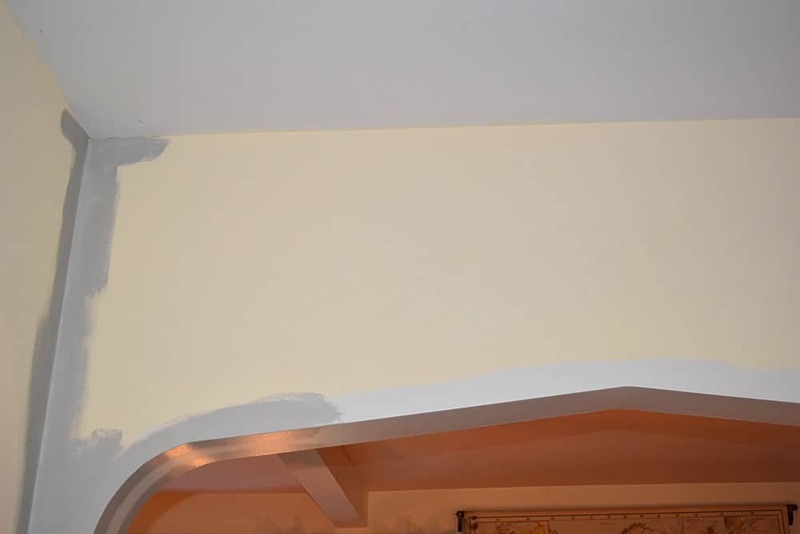 After gazing at paint samples for a week, I tried Valspar’s Signature “Woodlawn Snow”, 6003-1A from Lowe’s. 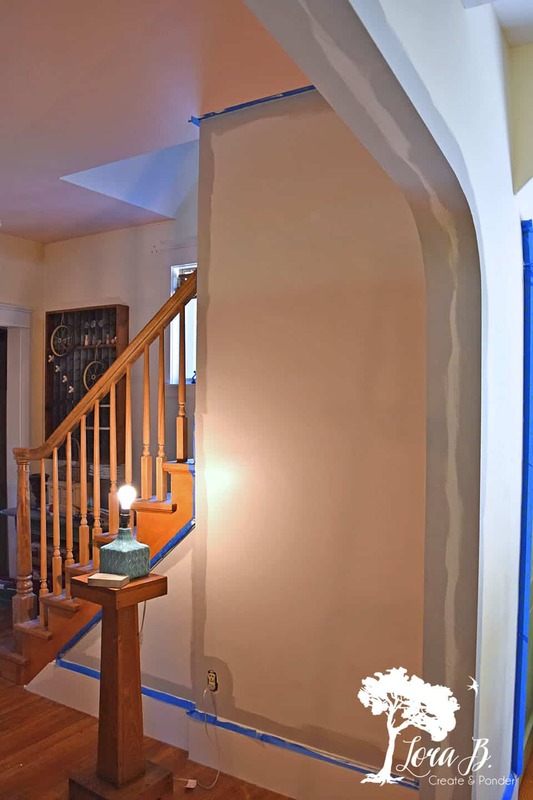 I don’t usually spearhead the wall painting at my house, so Mr. Fix-it was quite pleased I was doing all this myself so he could spray creeping charlie in the beautiful weather. Taping and cutting in is a lot of work! And that roller thing is all my arthritic wrist could handle. And then there’s that deal with the nap, and making sure all your roller lines go the same way on the last swipe. Geesh…give me a brush and a piece of old furniture anyday! This pic shows my first attempt of color. I liked the tone of grey, but it was way too white. 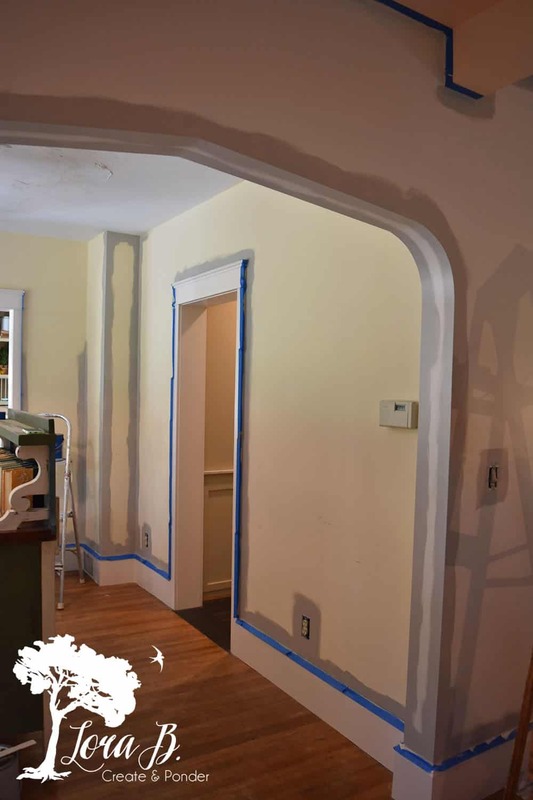 Not enough contrast with our pretty trim. So I went and got the next color on the chip, “Frappe” 6003-18. That’s the color you see around the edges. Now we’re talking. 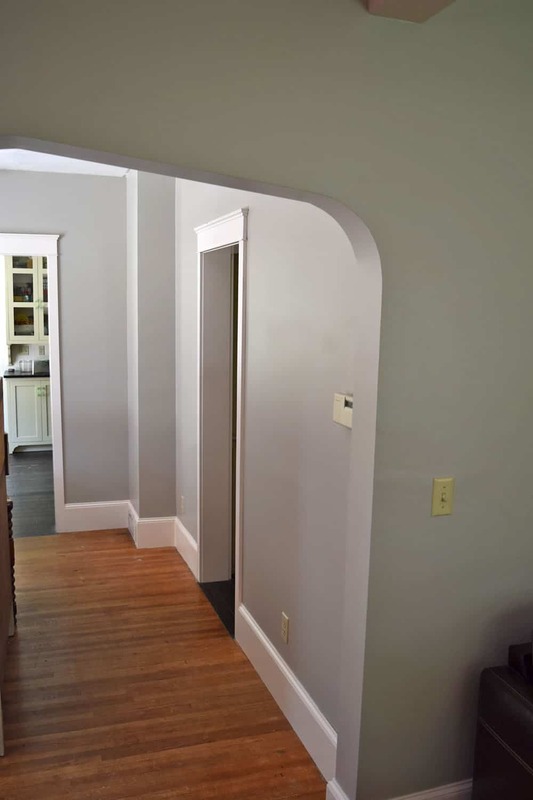 I’m jealous of you new house people that have big expanses of walls without doors and juts everywhere. So. much. taping. and cutting in. Love the result, though. And when the teenagers in the house are even oohing and ahhing…you know it’s a good thing!